As an owner of a small and growing rental empire, we are lucky enough to get to experience all kinds of events regarding our houses. As always our pain is your gain. While we have been blessed to never have an issue with our houses in major weather areas, we have learned from others how important it is to prepare both yourself and your tenants. I thought she was going to fall out of her seat laughing. She said, “No Elizabeth, you evacuate. These are category 2-5 hurricanes that come through. You evacuate, and also there are no basements here.” Come to find out my definition of a hurricane was a tropical storm. The point of this story is you have no idea of your tenants’ experience or understanding of the area. 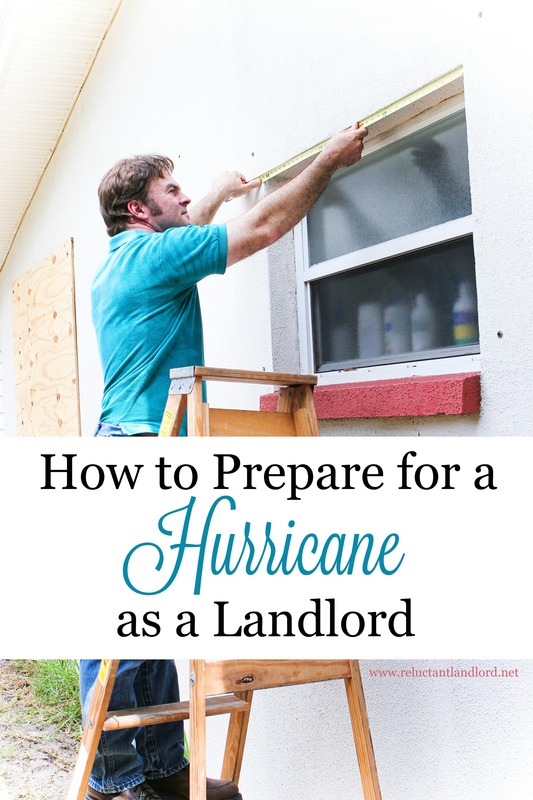 The last thing you want them to do is be me and not know to put up the hurricane shutters or any of the other things that are standard to the area. If you are long distance, you can’t be there to help but you can still protect your house and help your tenants. Later in the day I checked in with them again. A dear friend, who is a fantastic property manager and runs many more houses than I do, posted an awesome letter. It was such a great idea it inspired this sample letter to my tenants. I just wanted to touch base regarding the upcoming storm approaching. Just to give you a heads up that even if the storm does not make landfall, flooding is still likely. That alone could bring loss of power, roof leaks, etc. and, of course, there’s always the chance the storm could change course. 1. Please secure the property (windows, doors, etc.) and all belongings whether they are yours or ours. For example, patio sets, grills, flags, chairs, etc., as we don’t want you to be responsible for damages or have to deal with living with contractors in your home! Friendly Reminder: If you are bringing in plants, be sure you put them on large plastic bags to keep them from making stains on carpets or floors. 2. If you have window unit air conditioners, dehumidifiers, or anything else in the windows please remove it and secure the window. Heavy winds or rainfall could cause serious damage! 3. In the event of problems, please call me directly. 4. Patience is a virtue. I know that water, power, and HVAC are necessities. I want you to be happy and comfortable in your home. I will most definitely have any issues resolved as quickly as humanly possible. But, I already know my contractors will be extremely busy. So, expect delays, take precautions, and make preparations ahead of time PLEASE! I appreciate your understanding. I recommend stocking up on batteries, flashlights or battery-operated lights and filling tubs and sinks with water, in addition to having a supply of bottled water for consumption should we lose power and/or water, which can happen in a major storm. Also make sure you you have extra provisions for a couple of days in case you are stuck in your neighborhood until the water resides. 6. GENERATORS — While I love the idea of you saving the day, please be mindful that generators can be very dangerous if not used properly. Some of the issues are using it in an area that isn’t properly ventilated as well as having it ruin the electrical system. As such, generators that are NOT permanently installed at the home by myself are NOT permitted to be connected to any system or appliance in the house without prior written consent. This would require myself to agree and you having an approved licensed electrician connect it. 7. Sand Bags — Please use sandbags in front of any lower area door (garage back door, etc.) to help prevent water from coming through the door. 8. Inspect Outside of the Property — If you would walk around your property. Sometimes the diverting hoses come detached from spouts or spouts just fall off. Gutters clear? Storm drains in street not clogged? By simply removing some dirt or hooking up anything that has come undone you can greatly reduce the potential damage. 9. Check any Tree — Any big branches look unsteady or dead? If you see any potential issues before or after the storm, I would appreciate it if you would send me pictures both for my records and so I can follow up with having it taking care of. 10. Don’t do a big shopping trip today to buy freezer or refrigerator items! Have plenty of water and non-perishables. We stockpile ice in freezers and have coolers ready. Please be safe and know that we appreciate you and are praying that you stay safe and unharmed and without inconvenience! While these items did not pertain with my tenants, you should also think about sump pumps and raising up items for basement flooding. Do not reduce the warning. I don’t tell my tenants to ignore the weather because it is nothing other than a false warning or that all of the other storms have been been nothing but media hype. I know this sounds silly, but you would be surprised on some of the things I was reading on some Facebook groups over the past incidents. While this won’t cover everything, hopefully this gives you an idea on how to at least start your letter to the tenant. Did I forget anything about how to prepare for a hurricane? Do you include anything else in your letter to the tenant? Anything you would have wanted to know as the tenant? Would you like some Landlord Support through this crazy adventure? 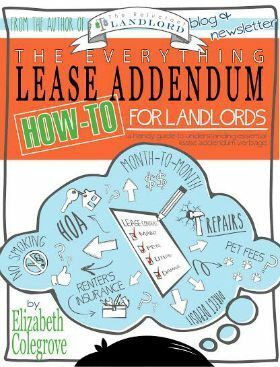 Join us over at Landlord Round Table facebook page for resources, lessons learned, and most importantly SUPPORT?